Book review by Berber Hagedoorn of A European Television History. Berber Hagedoorn has published a book review of Jonathan Bignell & Andreas Fickers’ ‘A European Television History’ in the Dutch journal, ‘Tijdschrift voor Mediageschiedenis‘. The book has been the first collective result of the European Television History Network (ETHN), and is also the first European project that researches the European television history from a comparative perspective. 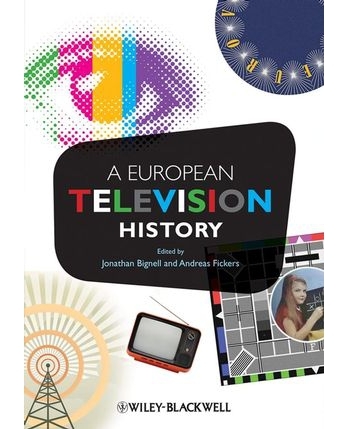 “European Television History brings together television historians and media scholars to chart the development of television in Europe since its inception. The volume interrogates the history of the medium in divergent political, economic, cultural and ideological national contexts. Taking a comparative approach to the topic, the volume is organized around a set of common questions, themes, and methodological reflections. Deals with European television in the context of television historiography and transnational traditions. Hagedoorn works as a PhD researcher at Utrecht University, one of the founders of the ETHN and co-ordinator of EUscreen. As a researcher, Hagedoorn is closely involved in the contextualisation of EUscreen content. In her review, she has also referred to EUscreen in relationship to ‘A European Television History’.